Prominent & Leading Manufacturer from Mumbai, we offer plastic rangoli, designer rangoli, floating rangoli, kundan rangoli, acrylic rangoli and handicraft rangoli. We have carved a niche by offering a wide assortment of Plastic Rangoli that adds an extra edge in your home decoration during the religious occasions. Highly demanded for decorative purpose, the offered kundan rangoli is designed using well-tested raw material under the direction of vendor’s skilled professional’s experts. The offered kundan rangoli is accessible in various sizes and patterns to meet the variegated needs of the clients. We have carved a niche by offering a wide assortment of Designer Rangoli that adds an extra edge in your home decoration during the religious occasions. Highly demanded for decorative purpose, the offered kundan rangoli is designed using well-tested raw material under the direction of vendor’s skilled professional’s experts. The offered kundan rangoli is accessible in various sizes and patterns to meet the variegated needs of the clients. 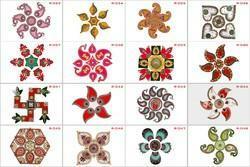 We are passionately engaged in offering an exclusive range of Floating Rangoli. This floating rangoli is used in both outdoors and indoors on the varied special occasions and festivals like Diwali, Christmas, Marriages and so on. Our offered floating rangoli is checked on various quality parameters by adroit professionals so as to deliver a defect free range. 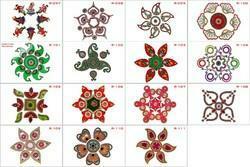 We offer this floating rangoli in different designs, patterns & customized options as per customer’s choices. We have carved a niche by offering a wide assortment of Kundan Rangoli that adds an extra edge in your home decoration during the religious occasions. Highly demanded for decorative purpose, the offered kundan rangoli is designed using well-tested raw material under the direction of vendor’s skilled professional’s experts. The offered kundan rangoli is accessible in various sizes and patterns to meet the variegated needs of the clients. 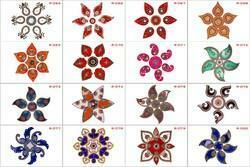 We are passionately engaged in offering an exclusive range of Acrylic Rangoli. This floating rangoli is used in both outdoors and indoors on the varied special occasions and festivals like Diwali, Christmas, Marriages and so on. Our offered floating rangoli is checked on various quality parameters by adroit professionals so as to deliver a defect free range. 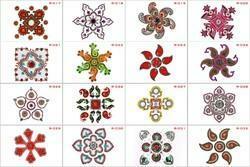 We offer this floating rangoli in different designs, patterns & customized options as per customer’s choices. 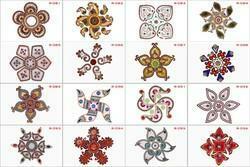 Our rapidly growing organization is engaged in offering a wide gamut of high quality Handicraft Rangoli. This handicraft rangoli is designed using quality approved basic material and best techniques keeping in mind set industry quality standards. 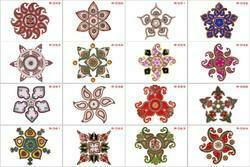 We offer this handicraft rangoli in various sizes and designs in order to meet the various needs of the clients. 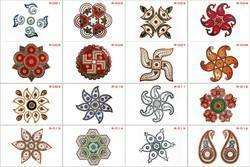 Our valuable customers can avail this handicraft rangoli at reasonable price within a confine time. We have carved a niche by offering a wide assortment of Diwali Rangoli that adds an extra edge in your home decoration during the religious occasions. Highly demanded for decorative purpose, the offered kundan rangoli is designed using well-tested raw material under the direction of vendor’s skilled professional’s experts. The offered kundan rangoli is accessible in various sizes and patterns to meet the variegated needs of the clients.